What Is Oil Well Coring? 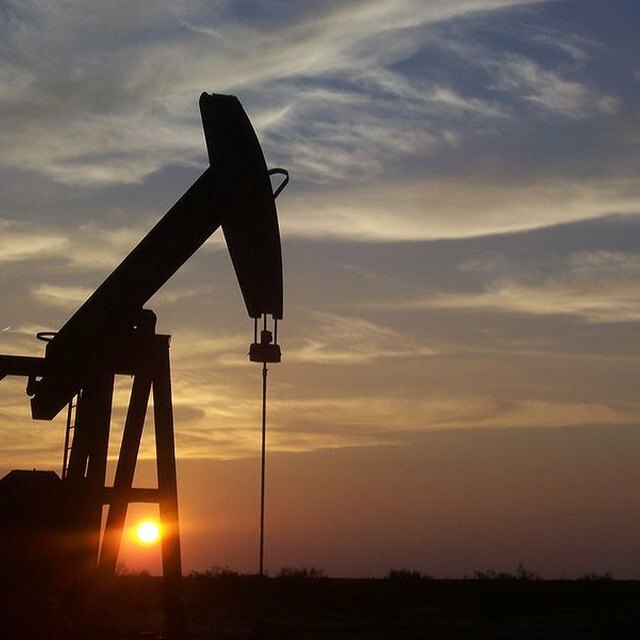 How Does an Oil Pump Jack Work? How Does a Drilling Rig Work? The "tool" is whatever the driller is putting down into the well. This is usually the drill bit and associated hardware, but there are also specialty tools that are used from time to time. The rig supervisor, also known as the "toolpusher," oversees tool assembly alongside the driller. Once the tool is in place, drilling can commence. As the drill bit is pushed into the well, drilling fluid or "mud" is pumped through the drill pipe and into the well. The drilling fluid lubricates the drill bit and brings the clippings from the bit back to the surface. The density and chemical composition of the drilling fluid must be altered to fit the well conditions. Otherwise, the well could collapse or otherwise destroy itself. The rig supervisor and the mud engineer work together to make sure the drilling fluid is properly formulated. The driller operates the drill. He determines the pressure and rotation speed on the drill bit necessary to reach his depth goals. When he reaches the end of the pipe section currently attached to the drill motor, another section must be added to continue drilling. The pipe in the well is disconnected from the drill motor. Another section is attached to the drill motor and pulled up into the derrick, and the new pipe section is connected to the pipe in the well. Casing, which is a heavy pipe used to support the walls of the well, is handled in the same way. Roughnecks complete all of this work while the driller operates the machinery. The drilling fluid that is pushed up from the well is cycled through shakers. These machines have screens that help separate the clippings from the drilling fluid. The rig supervisor and the geologist can then examine the clippings to determine what kind of rock is being drilled into, what kind of adjustments might be needed in the mud, and whether a different bit needs to be used. The well's purpose will usually determine how it is finished. An exploratory well will usually be capped. In most cases, this means a cementer is brought to the rig to formulate a cement plug to close it off. If it is a production well, it will be connected to a pump system to extract the oil from the well into some kind of storage--like a tanker ship for off-shore wells. It can then be shipped to refineries. How Does a Pitcher Pump Work? D., Grant. "How Does a Drilling Rig Work?" Sciencing, https://sciencing.com/how-does-4744427-drilling-rig-work.html. 09 January 2018.